As an Irvine Community Services Commissioner – and even more as an Irvine mom who enjoys riding our city’s bicycle trails with her teen-age son – I am happy that Irvine has been recognized as a “Silver” Bicycle Friendly Community by the League of American Bicyclists, the oldest and largest membership organization of cyclists in the United States. In its previous assessment in 2009, Irvine received a “Bronze” award, which means that the League believes that Irvine has made significant progress in bicycle friendliness. One reason for Irvine being perceived as more bicycle friendly is the amendment and updating of Irvine’s Bicycle Transportation Plan. The plan is a detailed, 260-page guiding document for the development and maintenance of a bicycle infrastructure network in Irvine that is safe, efficient, and enjoyable, and includes plans for additional on-street bicycle lanes and off-street bikeways and bicycle trails in the near future. Irvine is indeed a wonderful city for biking, whether for commuting, exercising, or just enjoying the outdoors. We currently have 301 miles of on-street bike lanes and 54 miles of off-street bikeways. 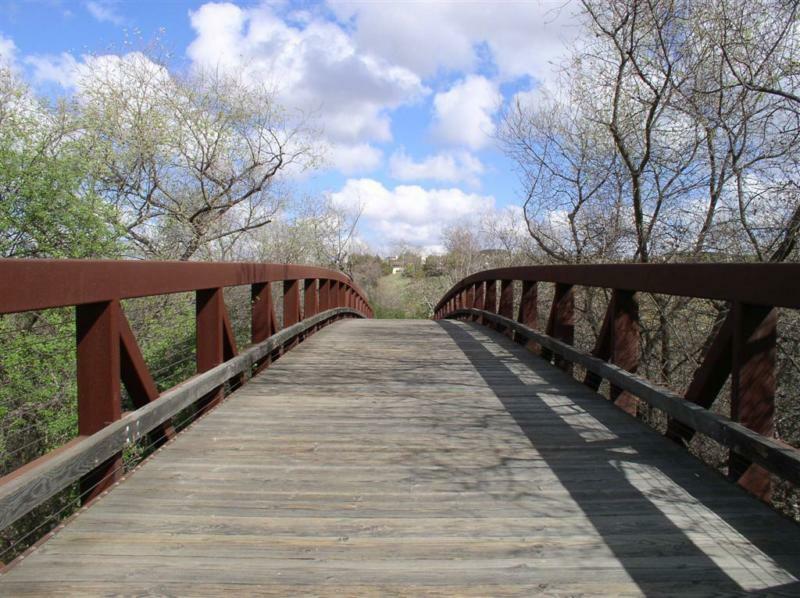 Our bicycle trails are some of the most beautiful, and peaceful, places in Irvine. My own local neighborhood favorite is the Hicks Canyon Bicycle Trail. There is also the Woodbridge Trail, the Walnut Trail, the Jeffrey Open Space Trail, the Sand Canyon/Quail Hill Loop Trail, the San Diego Creek Trail, the Back Bay Loop Trail, the West Irvine Trail/Peters Canyon Bikeway, the Shady Canyon Loop Trail, and Peters Canyon Wash Trail. You can get great maps of Irvine’s bike trails and bikeways at the City of Irvine Bikeways page, including an amazing interactive map of Irvine’s bike trails. The page also provides bicycle safety tips and information and a bike safety video. Silver is great — only three California cities with populations of 50,000 or more were rated higher than Irvine, all in Northern California. We are the best bicycle city in Southern California – and we can – and we will — do even better! This entry was posted in Uncategorized and tagged Back Bay Loop Trail, Bicycle Friendly Community, Bicycle Friendly Community Award, bike, biking Irvine, City of Irvine, Hicks Canyon Trail, Irvine, Irvine bicycle, Irvine bicycle maps, Irvine bicycle trails, Irvine Bicycle Transportation Plan, Irvine bike maps, Irvine bike trails, Irvine biking, Irvine Community Services Commissioner Melissa Fox, Irvine green space, Irvine maps, Irvine open space, Irvine parks, Irvine Ranch, Irvine recreation, Irvine trails, League of American Bicyclists, Melissa Fox, Melissa Fox blog, Melissa Fox Irvine, melissafoxblog, melissafoxblog.com, melissajoifox, Peters Canyon Trail, Quail Hill, Quail Hill Trail, San Diego Creek Trail, San Diego Creek Trail Irvine, Sand Canyon, Sand Canyon Trail, Shady Canyon Trail, Walnut Trail, Woodbridge Trail. Bookmark the permalink. Great Park Update: We're Creating a Truly Great Park!